"The average wage has grown by $170 from about $210 in December 2015 up to $380 in December 2018," First Vice Prime Minister of Ukraine - Minister of Economic Development and Trade of Ukraine Stepan Kubiv said at a press conference, an Ukrinform correspondent reports. 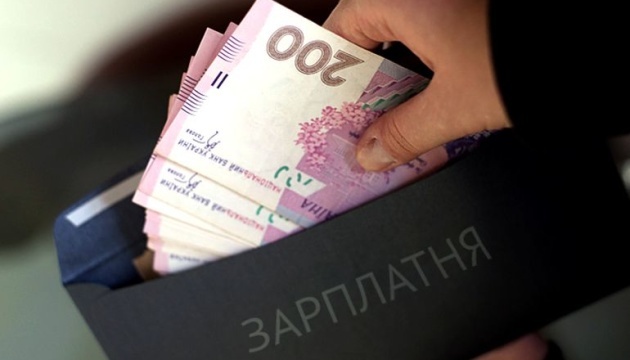 According to him, the job search sites indicate that the average wage in the private sector in April 2019 is $431 in equivalent, totaling about UAH 11,700 at the exchange rate of the National Bank of Ukraine. "Speaking about the real wage, it has increased by 45.6% from 2015 to 2019. The minimum wage has increased from $50 in equivalent as of January 2016 up to $150 in January 2019," Kubiv said.